Zynga has just released an ad-free version of their hit game Scramble with Friends to the Google Play Store, available for $0.99. We can’t help but wonder if Zynga is testing the water here to see if there’s a sea change in the purchasing habits of Android users after recent studies have shown that ad-based apps can eat up battery life 2-3 times faster than ad-free apps. The Android app ecosystem has long been based around the very premise that Google itself uses for many of its services – free of charge, supported by ad revenue. In Gmail or web search there is little down side to this (unless you really hate ads), but it turns out that on mobile devices there is a significant downside for ad-supported apps – the ad networks they use run much like separate background apps, using up far more juice than the app alone does, and often staying active as long as the game is in memory, long after you’ve stopped flinging pissed-off-avians at pigs in space. So it seems like more than mere coincidence that just a couple weeks after the study was published, Zynga, one of the most successful game developers for mobile devices, would release a paid version of one of their popular games. If you love to play Scramble with your friends, but don’t want to drain your battery, it’s probably well-worth dropping 99 cents to do so. 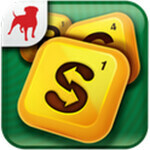 If this foray is successful, we imagine we could see paid versions of Words with Friends and other popular Zynga apps soon (Drop 7 is another Zynga title that isn't free – but it shipped without a free version and at a different price point, so it seems to be pursuing a different sales model altogether). Given that greater battery life is frequently cited as among the most desirable traits in a smartphone, we wouldn’t be upset if more developers decided to offer paid versions of their apps. What do you guys think? Would you be willing to pay for ad-free apps on your Android phones, or is decreased battery life a price you're willing to pay for free apps? Why don't you mention the fact that they GOT RID OF the paid version of Words. Exactly baldi; releasing this version of Scramble to the Play Store feels like a shift in marketing strategy.